“Ketamine therapy was life changing for me and helped lift the fog of depression that had for so long weighed me down and made arduous even the most basic of tasks. 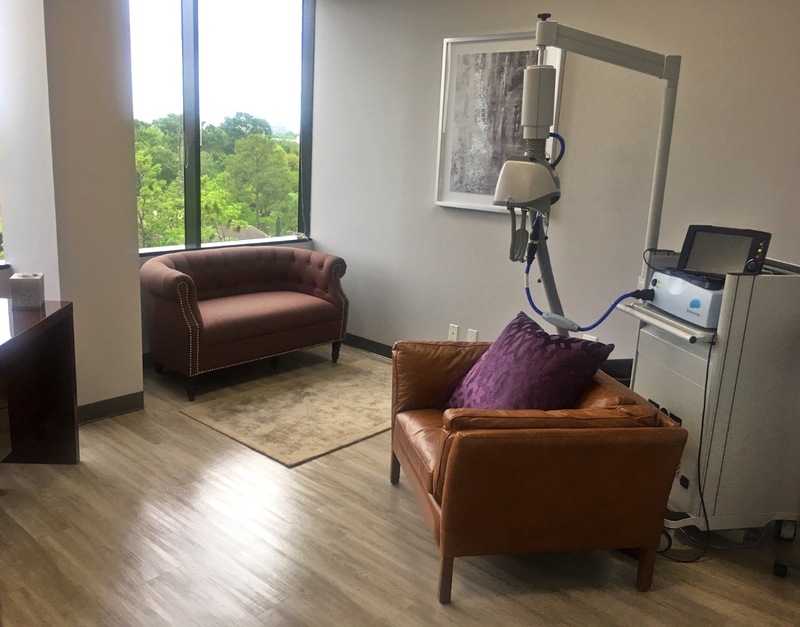 As my depression began to feel more manageable, Dr. Prashad suggested that adding Deep TMS to my treatment plan could reap benefits in helping to tame my anxiety and, perhaps, even make my ketamine infusions more effective. After the first week of TMS treatment, my anxiety started to noticeably decrease and those hypnotic and seemingly ever-present feelings of sadness/despair began to hold less and less sway over me. Flashforward three months, and I’m thrilled with the results of combining Deep TMS and Ketamine therapy. The two seem to have a symbiotic relationship that has “supercharged” my treatment, helps me better tackle risks and embrace failure and, quite frankly, feel like the best version of myself in years. This is data from a real patient treated simultaneously with deep TMS and intravenous ketamine. She had long term severe depressive symptoms prior to starting treatment and is now in full remission and functioning well. Her IV ketamine dose was titrated and she received 36 treatments of deep TMS. The combination of deep TMS, IV ketamine and oral ketamine after completing the series of 6 has resulted in sustained, stable results. Even at 4 weeks after her last infusion, her depressive symptoms did not start to relapse. This is what we see when we combine the 2 treatments– the results are more profound and longer lasting. Focused, guided, physician administered ketamine infusions for treatment resistant severe depression, PTSD and bi-polar depression.